You are here: Home / NYCFC / Match Preview: D.C. United vs NYCFC; City travel down I-95 to face D.C. Match Preview: D.C. United vs NYCFC; City travel down I-95 to face D.C.
Patrick Vieira’s men are coming into the game on the back of a 2-1 home victory over, the San Jose Earthquakes. D.C. United are also heading into the game following a 2-1 home win, their first of the season, against the Philadelphia Union. 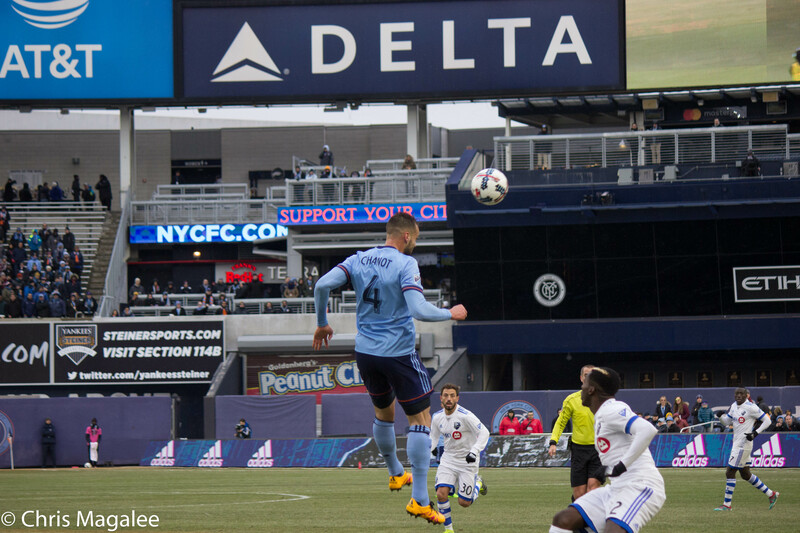 In New York City FC’s last game, it took goals from Jack Harrison and Tommy McNamara to secure the three points, however the game wasn’t all plain sailing. Just six minutes into the game, City found themselves a goal down through Marco Urena after he made the most of an Andrea Pirlo mistake. Fortunately a couple of minutes later – four to be precise – City managed to equalize through Harrison’s effort. It wasn’t until the 67th minute that Vieira’s side found themselves ahead. After some incredible build-up play between Ronald Matarrita and David Villa, McNamara found himself on the end of one of the best goals of the season so far. Will Jack Harrison add to his goal tally this Saturday? Though they picked up all three points in the end, D.C. United were very lucky to win their previous outing against the Union. Their opening goal, too, came from a bad giveaway from a Union player that José Guillermo Ortiz had no issue in punishing them for. United then doubled their lead through a rather questionable penalty decision that Luciano Acosta ended up tucking away. The Union did pull one goal back however, in the 71st minute through C.J. Sapong. Unfortunately it came as too little too late for Philly. Statistically, Philly dominated the game, and made more chances for themselves but poor finishing up top meant they were unable to secure three points. The last time these two teams faced each other was not long ago at all. 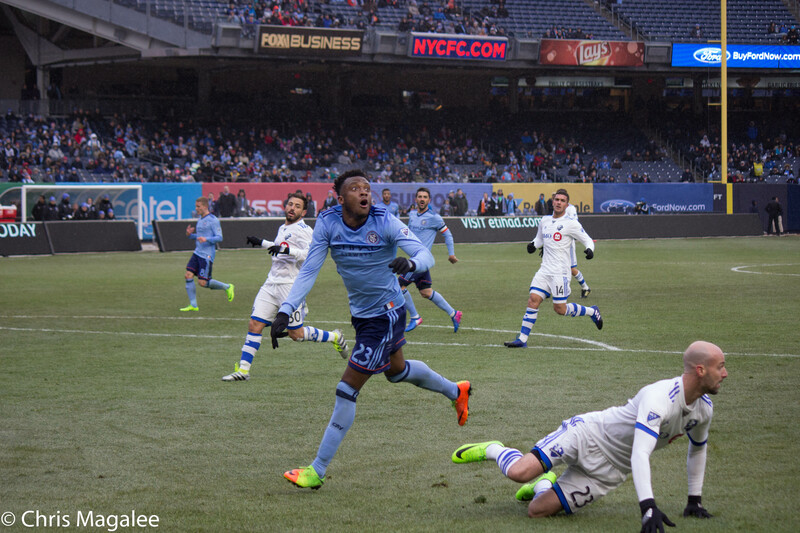 Jog your memory back just two games and you will remember City’s comfortable 4-0 win at Yankee Stadium. Rodney Wallace, Maxi Moralez and Villa (x2) were all on the goal sheet, and will be hoping to replicate their performances this time out as they travel down to the capitol. I fully expect D.C. United to attack NYCFC from the first whistle, so with that said the back four will have to be on top of their games – especially if they are to contain DC’s star man Acosta. Specifically Maxime Chanot, the Frenchman will be in charge of organizing the back four all and ensuring Sean Johnson has as little work to do as possible. Chanot must make sure he’s vocal at the back, and keep the back four in order. Undoubtedly if D.C. are to be successful Acosta will have to be on top of his game. The 22-year-old, Argentine has played just two games so far this season and scored one goal, however he has taken the limelight in both games. Standing at just 5’3″ it will be quite an interesting battle between Acosta and Moralez – standing 5’3″ himself – in midfield. 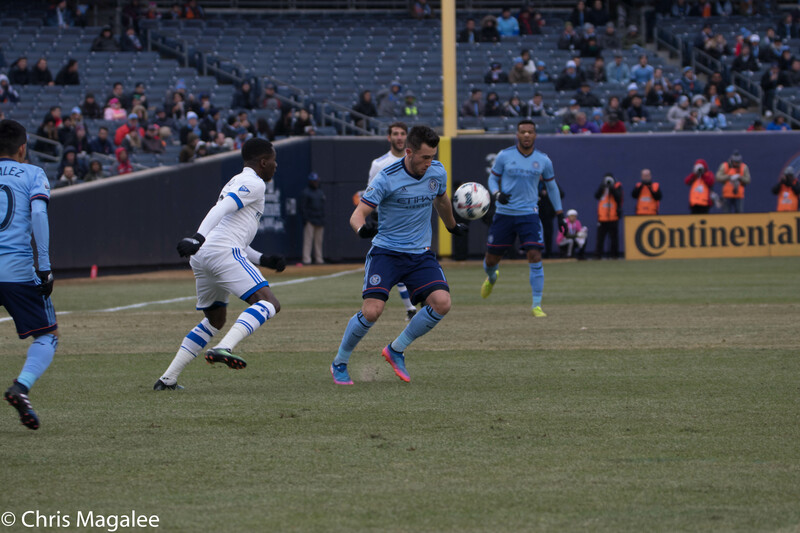 NYCFC could be without Mikey Lopez and Jonathan Lewis who are both doubtful to take part. D.C. United will be without Eric Klenofsky, Rob Vincent and ex-NYCFC player Patrick Mullins. Marcelo Sarvas will also miss the fixture due to a suspension. NYCFC (4-3-3): Johnson; White, Chanot, Callens, Matarrita; Ring, Pirlo, Moralez; Harrison, Villa(c), Wallace.